I think I can say with confidence that a good amount of '90s kids had huge crushes on Eric Matthews, Corey's spacey, yet adorable older brother from Boy Meets World. Lest you forget, he had that epic '90s bowl cut that all the cutest boys were rocking at the time. 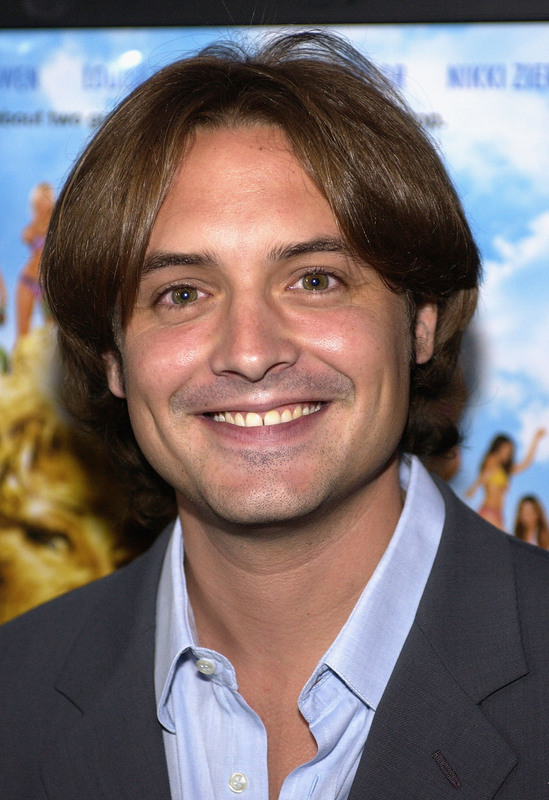 But many years have passed sine the show ended in 2000, and Will Friedle recently announced he got married and, naturally, he used a Boy Meets World reference to do so. After going through his Twitter, I realized that he reminisces about the show a lot, so if you thought you were a fanatic, you still might not be as big a fan as Friedle. In his wedding announcement post, Friedle posted the caption, "Ladies and gentleman...Mrs. Squirrels..." in a reference to Eric's hermit alter-ego character, Plays With Squirrels, aka Mr. Squirrels. Yeah, the '90s were a weird time. In fact, he uses the hashtag, #WednesdaywisdomwithMrSquirrels often on his Twitter, so it is obvious that BMW is still a huge part of his life. He's even brought back his Mr. Squirrels character on Girl Meets World. For some nostalgia, here are some of Friedle's many Boy Meet World references that'll make you miss the show even more, but luckily, Eric Matthews is still keeping the spirit alive. John Adams High School was were all the BMW kids went to school and Friedle just casually put it back on 20 years later. He wished actor William Daniels the happiest of days and fans all cried about it. Now that takes some dedication to your character. He was so wonderfully weird while doing so. Boy meets wife? I see what you did there. Is it me or does Plays With Squirrels get more love than Eric? In May 2015, before his surprise cameo on Girl Meets World, Friedle spoke to Entertainment Tonight about how it felt to be back with his cast mates and said, "It’s being back, but on a different set — it's great! It's a heck of a lot of fun to come back... Being with Ben and Danielle, we spent every day together for seven years so that's like going back with your family." What BMW fan could ever forget this infamous call? "I don’t know, I have to say that, presented the opportunity I’d like to kinda be Ben’s older brother... As far as the show, I’m 36 years old now, and I have an amazing time doing Boy Meets World, I really did. It was one of the highlights of my life, and seven years I’ll never forget, and I want to remember it, exactly as it was." I love that Friedle still loves Boy Meets World so much. May Eric Matthews live on forever!